We are engaged in providing a range of high quality sugarfree boxes that is extensively used in packing applications of various industries such as Pharmaceuticals etc. Appreciated for their thickness, these can add value to the product packed, by extending its service life. 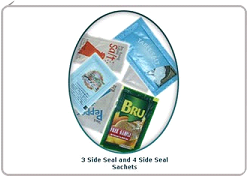 We offer a wide variety of Paper for sugar sachet that is fabricated using superior quality raw material. These are flexible in nature and can be customized in terms color combination, finish, size as per the specification provided by our clients. Our range of Paper for sugar sachet are made as per clients' requirements, based on the type of products that are to be packed. These laminates are a combination of LDPE laminated to either paper. Available in attractive color combination, these offers better seal strength and high degree of tamper proof.